Ajay Devgn has partnered with Brillstein Entertainment Partners to launch a US-based production house Shivalaya Entertainment to back independent films targeting a global audience. Speaking to IANS, the actor said he's excited to be part of the changing scenario in the Hindi film industry. The development and financing outfit will focus on independent films aimed at a wider range of audiences and not just commercial cinema. "At one end, traditional films continue to entertain and make business sense. At the other, there is a resounding presence of some new forms and voices making a mark in this ever expanding medium. 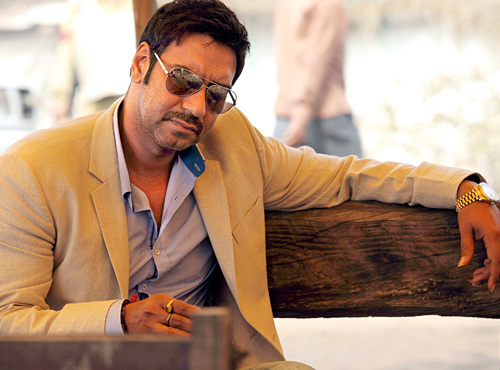 I am keen to be part of that growth, that change," Ajay said in a statement. "I am coming forth to support the independent film process where we can share important stories that need to be told -- global stories that will resonate with international audiences," added the actor, who already manages another production house — Ajay Devgn Films Productions. Shivalaya Entertainment, which is based in Los Angeles, has the go ahead for its first independent film, Parched, which will directed by Leena Yadav. The film revolves around the bitter-sweet journey of women in the parched rural landscape of India. The newly-formed company will produce films with Brillstein Entertainment Partners executive Jai Khanna, who is also serving as producer on the slate. Khanna said: “We will also be looking at working on projects with a diversity of talent, American or otherwise, with an aim to reach out to wider audiences." We would like to wish the versatile actor-producer the very best in his new endeavor.